We’re looking for good people to grow with us. "I feel like I am part of a family. Everyone cares about each other and genuinely wants to help each other succeed." "Cohen has given me an opportunity to grow, not only as a person, but as a husband, father, and friend. There is no other place like this!" "It's a family environment that allows me to thrive and lets me know I can rely on the people around me. " "It's a great company. I have the opportunity to grow personally and professionally." "Owners and bosses legitimately seem to care about you not only professionally, but personally as well." "Here I am treated like family. The culture is amazing and I am given the opportunity to grow with the company." "I get to work on something that I truly like to do. Plus everyone at work wants to see me grow and improve." "I enjoy what I do, and the people I get to do it with. I get to help others succeed." "I see myself retiring here. Hopefully I will be able to take on more responsibilities. I like to stay busy." "The Culture, the family environment, I love the people here." "I don't plan or desire to work anywhere else." "I see myself enjoying the rest of my working career here and retiring." " I value the foundation the company is built on. " "I see a very happy future here." "I've always had opportunity to grow myself and others." 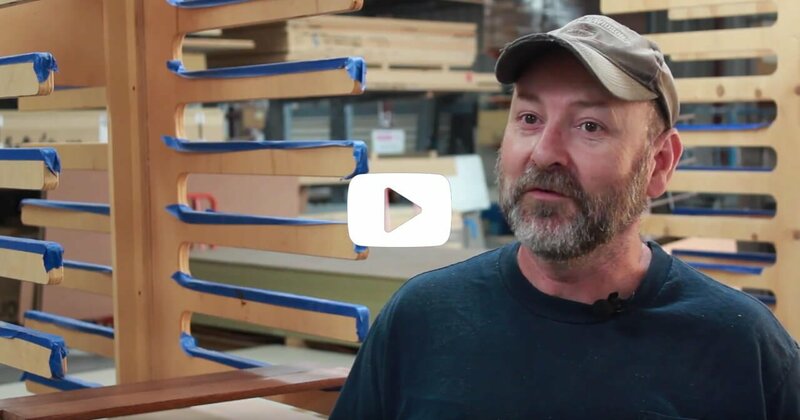 "I work at Cohen Woodworking because I feel like I am part of a family. Everyone cares about each other and genuinely wants to help each other succeed." "I chose to work for CAW because you promote a family environment that allows me to thrive and lets me know I can rely on the people around me. If it is work related or even a personal issue, I know I can count on the people around me." "I understand an employee of CAW needs to be motivated, dependable, loyal, helpful, friendly, reliable, and trustworthy." "Because here I am treated like family. The culture is amazing and I am given the opportunity to grow with the company." When you join Cohen, you join a team of people who genuinely care for not only your professional life, but for who you are as a person. Our success as a company is a result of our culture. Transparency, integrity, accountability, excellence, and love radiate through all we do. Alan has more than 40 years’ experience managing retail stores for companies such as Kroger, Hobby Lobby, and Sam’s Club. He understands the challenges of managing people and businesses. A kind, compassionate man, he loves helping people and holding them to the highest expectations. Alan believes his work at Cohen is his dream job! Alan and his wife, Cindy, raised 6 children and are expecting grandchild number 13. Alan’s family is his top priority. Whether helping them with home remodel projects or just hanging out with the grandkids, he loves sharing life lessons with his family through work and play. He also does missionary work in Honduras, is an avid St Louis hockey fans, who “bleed blue”, go on occasional B&B getaways, and family vacations, all of which make a full and rich life for Alan and Cindy. Our lives are masterpieces of finest craftsmanship. We grow most of our talent from within. Once an employee learns our culture and proves their loyalty, we help them discover and develop what they do best and merge it with our current needs. The most important decision we make is deciding who we hire and what they do. Our workplace is our sanctuary. We treat everyone with the same honor and respect. We want loyal, talented, hardworking staff who are committed to their own personal growth and a long term relationship with Cohen. On-time everything. This means we come to work on time. We start and end tasks on time. We only make promises we think we can keep. 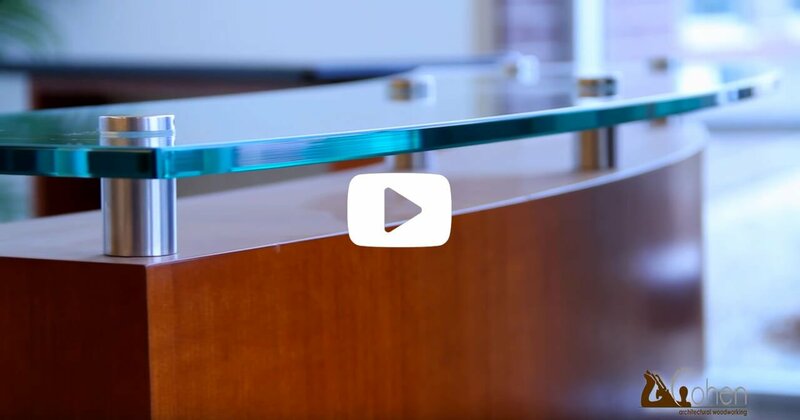 We put a solution in motion to every problem in 24 hours or less. Interested in Working at Cohen?